Charles Andreae from the Andreae&Associates company, contracted by SCL, the umbrella company of Cambridge Analytica, for a Romania-related project recently, says he was employed by SCL to contribute to the organisation of a visit by Romanian Foreign minister Teodor Melescanu to Washington, according to RiseProject.ro. In February 2018, Charles Andreae became an employee of the SCL and, speaking of the same contract, told Politico that he was employed by SCL last year to contribute to the organisation fo a visit by Romania's Foreign Minister to Washington. He also said he was asked to help because of his long expertise in foreign policy, including Romania, and that the visit was aimed at NATO, EU and anti-corruption related issues, according to the investigative reporting website. In 2017, the Andreae&Associates company was reported to have reached a contract with SCL aimed at educating members of the US Congress and the US Administration about issues linked to Romanian corruption and the fight against corruption in the country. 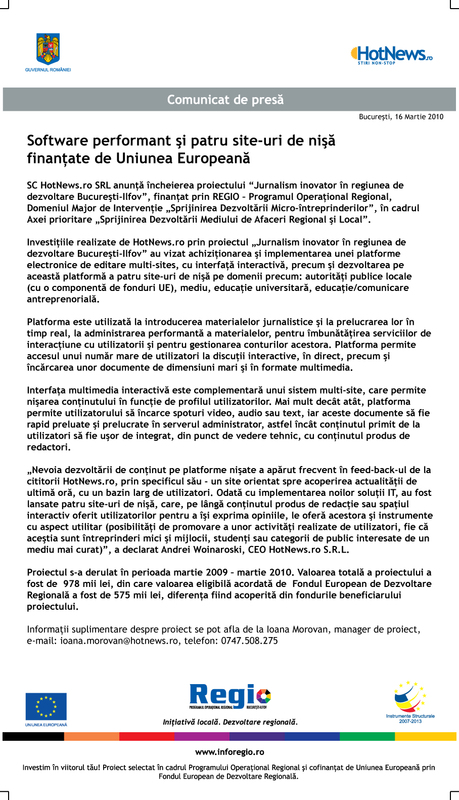 An amendment to the contract between SCL and the American consultancy company was submitted to the US Department of Justice, as Romanian journalist Sorina Matei reported in March this year. The Strategic Communication Laboratories (SCL) company is at the center of a massive, international scandal after its branch Cambridge Analytica was accused of influencing the US presidential elections and the Brexit referendum by using private data of millions of Facebook users. Contacted by Rise Project, Foreign Minister Teodor Melescanu denied any involvement with the SCL or Andreae&Associates in the organisation of his visit to the US in March last year. He said he attended a reunion of the international coalition against the Islamic State, at the invitation of the US Department of State.